HomeAll classesFoodPasta MakingOrecchiette Making Workshop: Fresh Pasta, Puglia-Style! 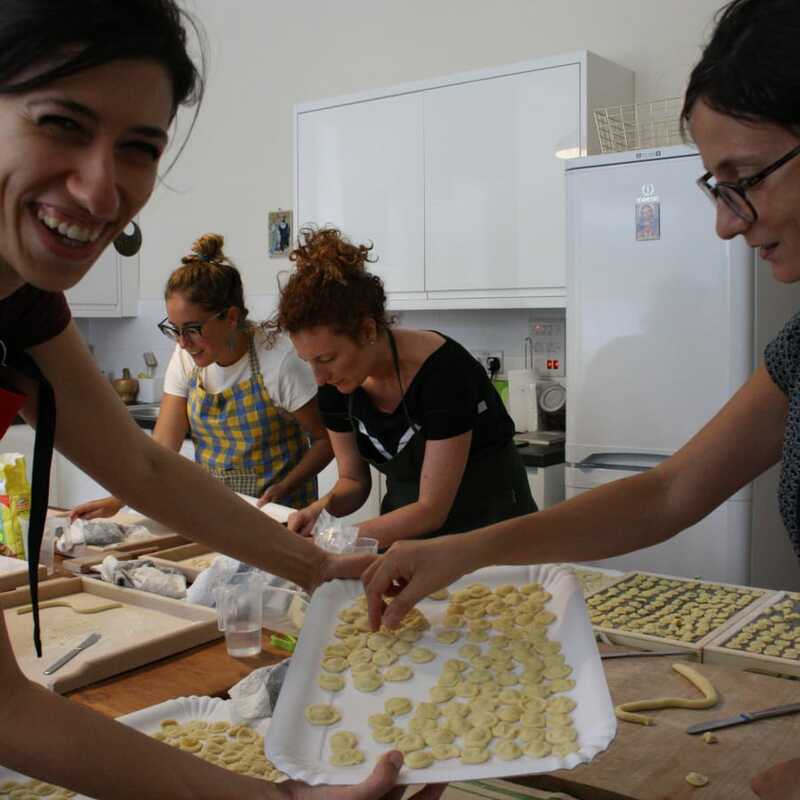 Orecchiette Making Workshop: Fresh Pasta, Puglia-Style! Learn the art and tradition of home-made Southern Italian pasta by making your own orecchiette, Grandma Isabella-style. This is the ideal experience for those who want to learn how to make Puglia-style pasta in a friendly and homely environment. 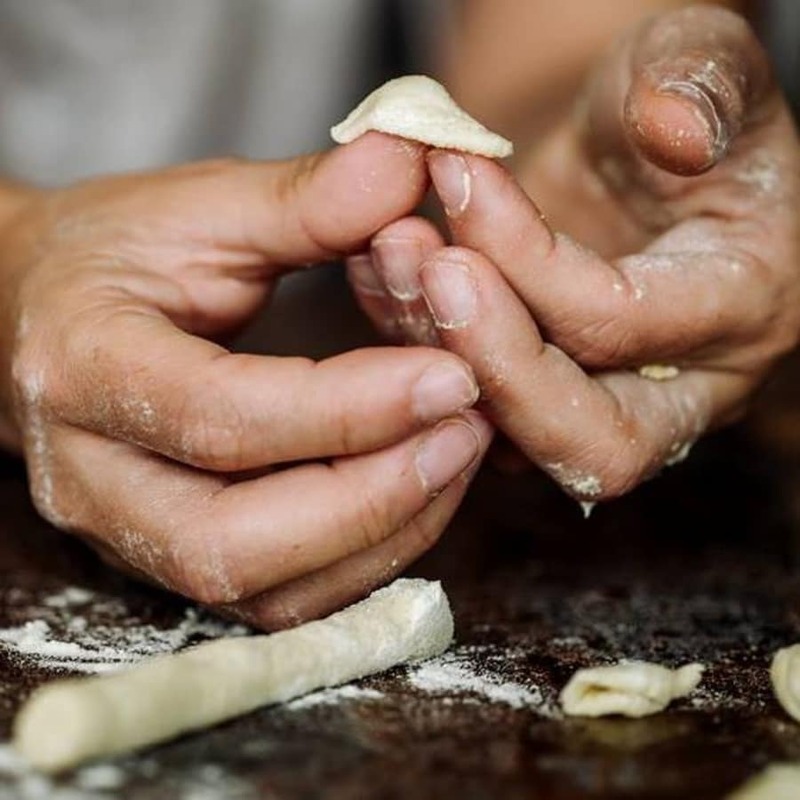 If you are just back from your holidays in Puglia or are planning to go; if you tried orecchiette and want to know how to make it yourself; if you love all kinds of pasta and want to explore new shapes of taste: this experience is right for you! Your hosts Annalisa and Erika will make sure you spend a great afternoon learning about techniques, traditions and recipes, while enjoying a Puglian aperitivo. This workshop is suitable for vegans, as the dough does not contain eggs; it is not suitable for people who are allergic or intolerant to gluten, as the dough contains wheat flour. This was an amazing and lovely cooking experience. Very well organised, super friendly and welcoming environment and very entertaining class. I really enjoyed the technical part, the stories and facts behind this special Italian pasta, the food, drinks and company. I just cooked it today and it was so so tasty. I would definitely recommend it! Annalisa considers herself very lucky to have learnt how to make fresh pasta from her grandmother, Nonna Isabella. Growing up in Puglia, Southern Italy, her family’s kitchen on Sunday mornings was buzzing with flour, laughter, and gossip. 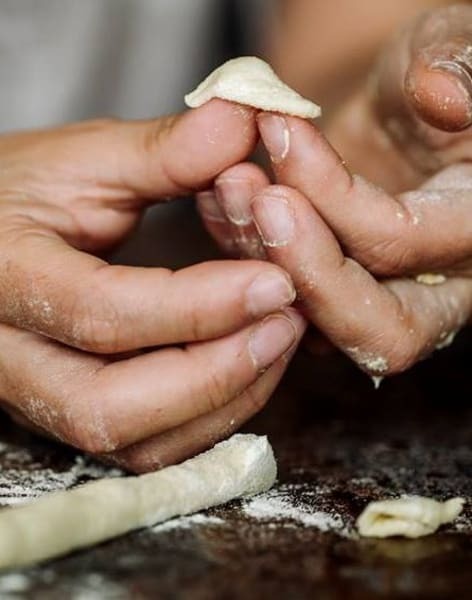 Nonna Isabella taught her how to make orecchiette, the typical pasta shape from Puglia and Basilicata, as well as many other traditional shapes and recipes. The tradition of home-made pasta has accompanied Annalisa throughout her childhood up until now, as she continues to share it with friends and loved ones. 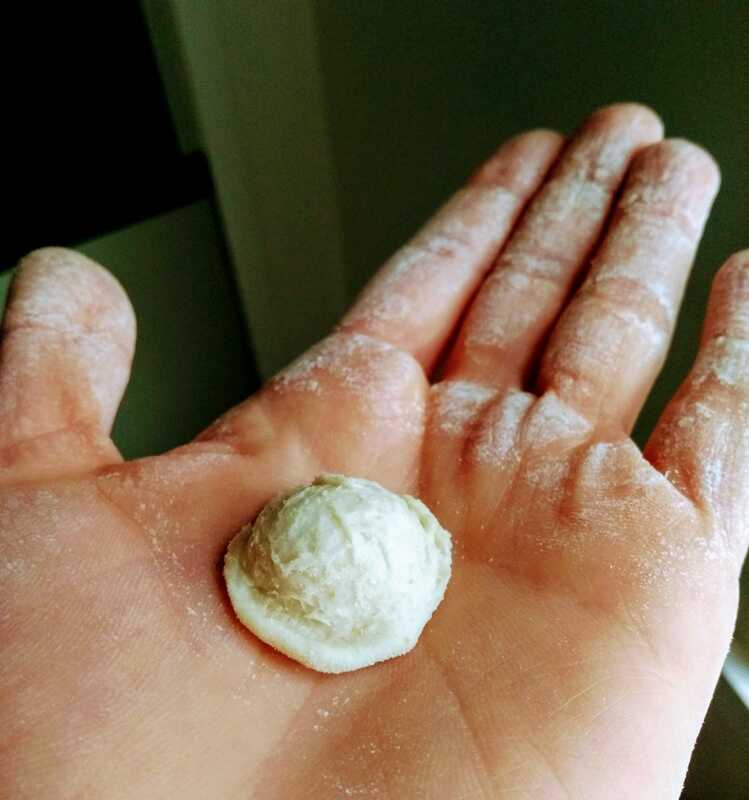 Many of them have wanted to learn how to make their own orecchiette over the years. This is why Annalisa's classes started: to give a taste of Nonna Isabella’s buzzing kitchen and pass on the skills of pasta-making beyond her family. We provide the tools, ingredients and aprons. You just bring your lovely self!